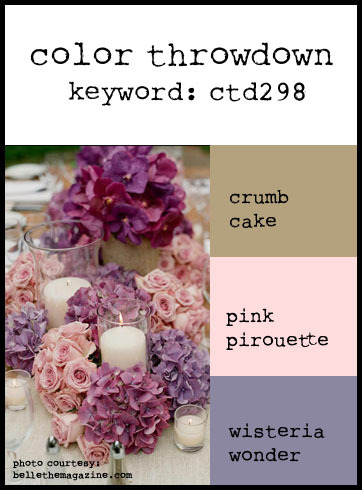 It's time for this week's Color Throwdown and I must say, I have SOOO enjoyed being a guest designer for the month of June. Not sure who is up next, but I'll be playing right along each week! I die cut the My Favorite Things Peek-a-Boo Heart and backed it with some pink paper. Then I added the twine and buttons. This card was easy to finish off with the LOVE stamp (from MFT Stamps) and the YOU diecut from Simon Says Stamp. I added just a few sequins for balance. And don't forget to take a look at what all the extremely talented design team members have for you this week! I'll be back later this morning with another fun post for you! Super cute card, Susie! We loved having you join us this month! Such a sweet card Susie. Love the colorful buttons and the heart! Hope to see your creations again! 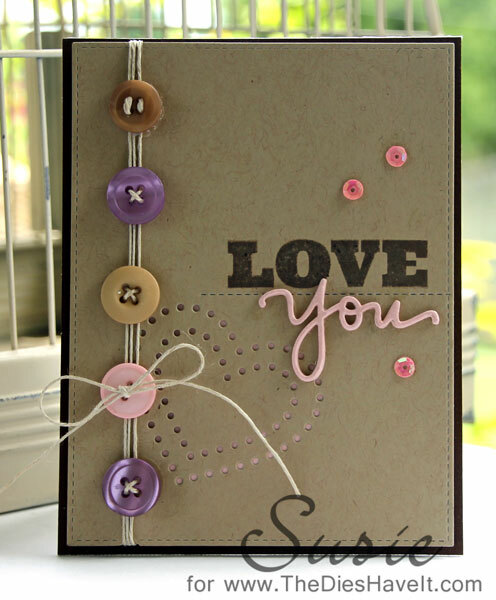 Love your awesome design, Susie....the buttons along the side and the heart are such fabulous details and I love the divided sentiment!!!! Thanks for guesting with us this month...it was wonderful having your beautiful cards in the CTD gallery!!! !